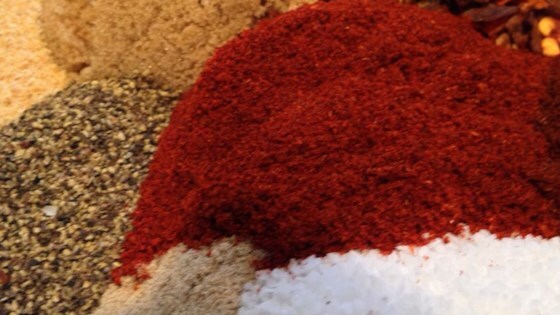 "This is the best Memphis-style BBQ dry rub; perfectly sweet, spicy and peppery." Whisk brown sugar, black pepper, paprika, white pepper, red pepper flakes, salt, chili powder, and garlic powder together in a bowl. Store in an airtight container. Generously sprinkle onto ribs and use your fingers to rub into the meat. Wrap the meat in foil and place in refrigerator for at least 4 hours or overnight. Awesome dry rub. Great on rib and thinner skirt steak. Adding one tablespoon of tamarind boosted flavor.